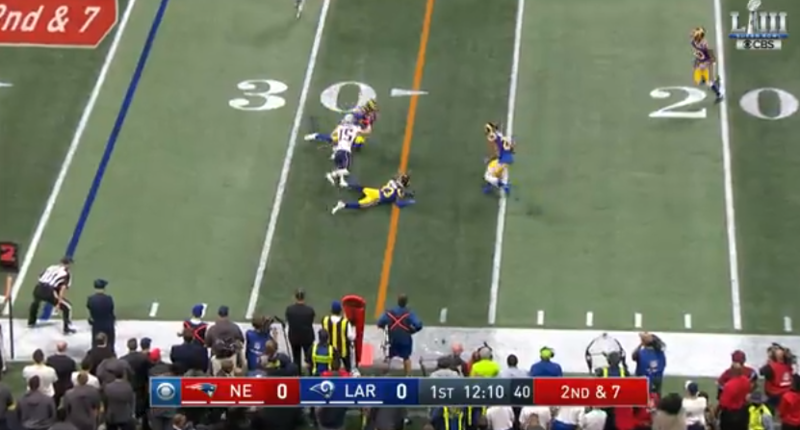 After a solid kick return to open the game, the Patriots easily moved the ball into Rams territory on the ground. That was Brady’s 6th interception in a Super Bowl, and his first since he threw a pick six against the Falcons two years ago. Brady opening up the game with a pick is probably not what most people were expecting, but a lot of people were probably more than fine with it.